of transactions that have questionable background. we suspect to be fraudulent. 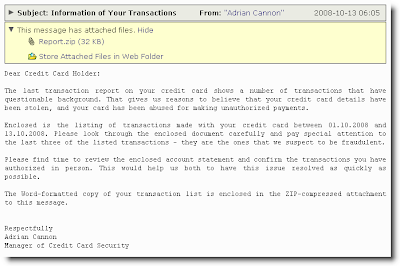 confirm the transactions you have authorized in person. This would help us both to have this issue resolved as quickly as possible. the ZIP-compressed attachment to this message.